One Biker A Million Mysteries ! 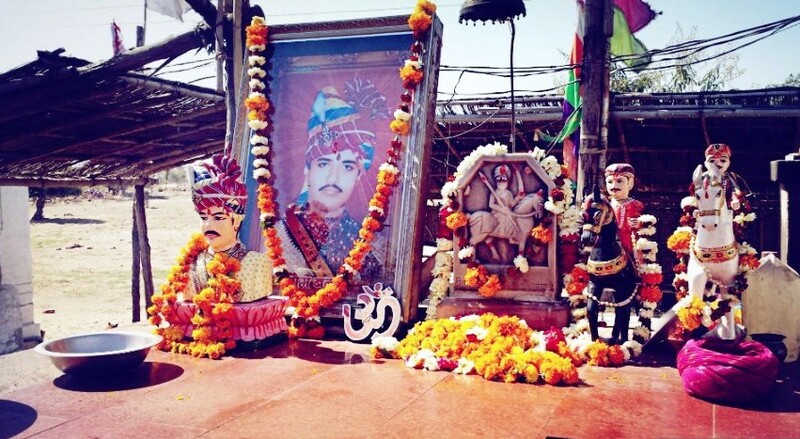 Bullet Baba – Story of A Strange Temple. 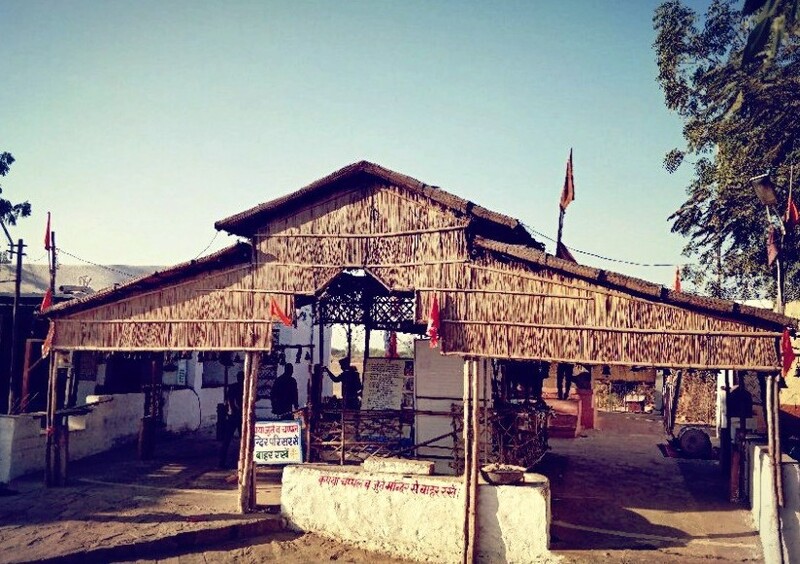 Bullet Baba Temple is one of the most unique temples of India. 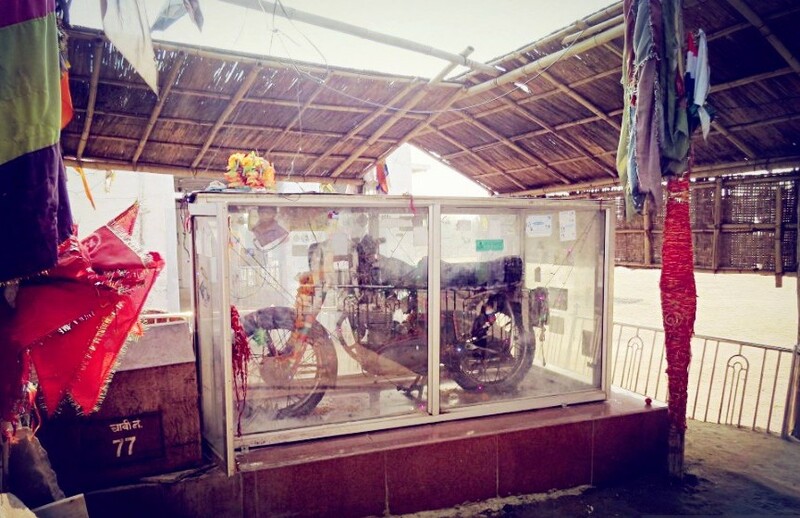 This temple has a real royal enfiled bullet motorcycle of which people worship. 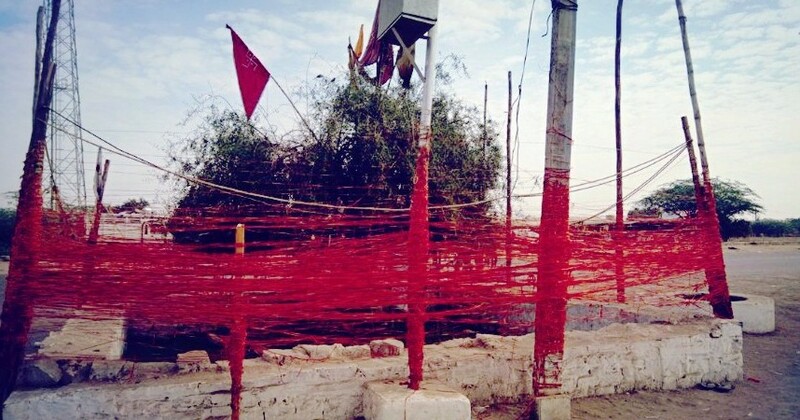 On my visit to Bullet Baba Temple, I come to know the story behind this all. Let me take you to 2 December 1991. It was a chilled morning with dance fog when a guy named Om Singh Rathore decided to ride his royal enfiled bullet motorcycle to friends place. In the midway, due to dance fog, he met with an accident and hit his motorcycle with a tree. He sustained serious injuries to his head due to which he died in a min. His motorcycle fell into a roadside ditch. Some passerby informed police and police took him to the hospital and his bike to a nearby police station. The hospital declared Om Singh Rathore brought dead. On the next morning, a strange incident happened at the police station where Om Rathore’s bike was brought. Police found his motorcycle missing after a search they found bike again at the same place of the accident. It was a surprise for police and locals. This time they took out fuel from the bike and put chain and lock to ensure nobody can move this motorcycle. Even after this next morning bike was again vanished from that police station and found back at the accident site. Local says that despite all the efforts bike kept going back to the accident site with some unknown force. After all the paper works police handover bike back to Om Banna’s family. They immediately sold that bike to a Gujrat guy but same happened again, the bike came back to the accident spot after a few days. 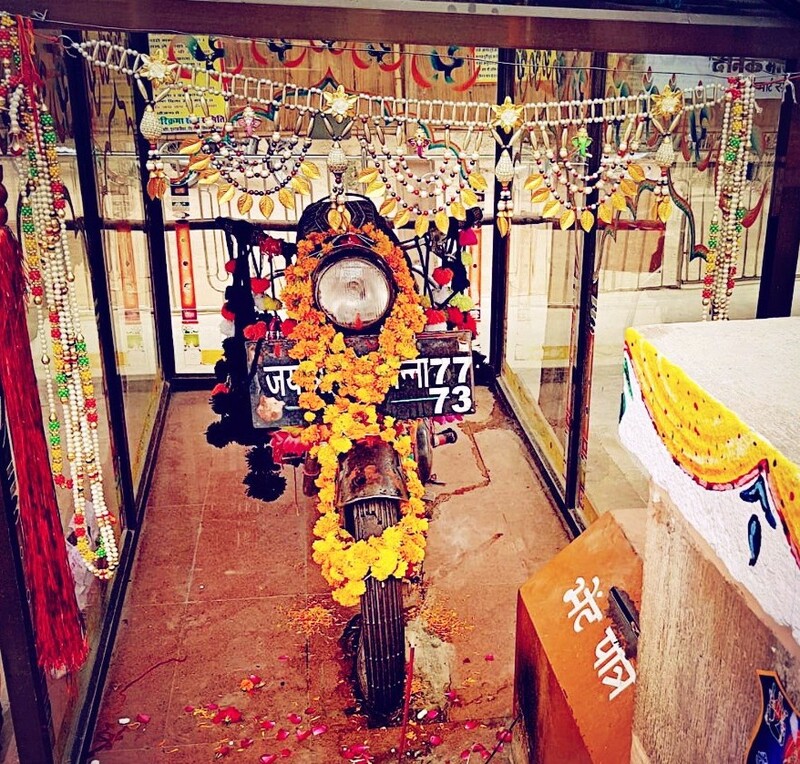 Some seniors suggested family to handover bike to them and let them make a temple in memory of Om Singh Rathore. And this was the final destination of that miracle motorcycle. Many bikers claimed they have seen Om Singh Rathore’s spirit helping bikers helping in ways. I met a biker who visit Bullet Baba every year, he told me that once he was passing by this place his bike got punctured. He waited for a few mins for help near his bike. A local took him to puncture guy when he returned he found his motorcycle’s tire fixed by itself. Puncture guy told him that its miracle of Bullet Baba and he should visit the temple to thank him. That was the day he visits this temple every year to thank good gesture of Bullet Baba. Legend says if you pass this temple without bowing down your head you will definitely have a dangerous journey ahead. Local says that this motorcycle still automatically starts sometimes and turned of after few mins. Indeed its a crazy story but trust me people visit this place from all over India and its like a normal temple for locals. People do Bullet Baba Aarti every evening. I also met his son Maha Prakrami Singh who told the same story. He also said his father still play with that motorcycle and help people on highway when in distress. I too bowed my head at temple and found strange satisfaction. Do pay a visit here i bet you wont get disspointed. 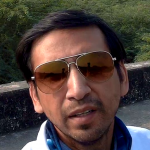 By Road – Its at National Highway 62 near village Chotila en-route to Pali. Love music and doing offbeat things. Exploring places is my passion. Shaniwar Wada – A Historical or Haunted Place?